WOLVERHAMPTON raced to a 50-41 win over Rye House in a spectacular encounter at Monmore Green. 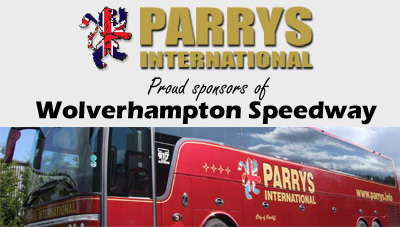 The Parrys International Wolves maintained their perfect home record with a hard-fought triumph over the SGB Premiership newcomers. It was another powerful performance from Peter Adams’ side, who recorded 11 race wins and had four members of their top five bag paid double figures. 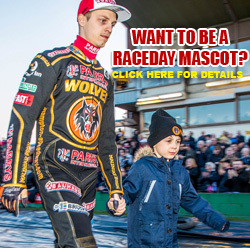 Swedish star Jacob Thorssell top scored, claiming three race wins including a heat 15 triumph to ensure Rye House left the West Midlands empty handed. And he was delighted to continue their tremendous home form with another excellent performance. “We’re really pleased,” Thorssell said. 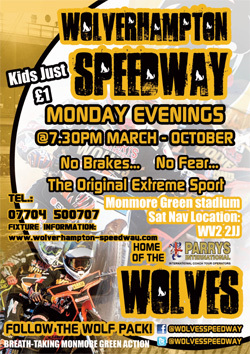 “Rye House are a good team, especially here at Wolves. Ricky (Wells) did a few years here and Bomber (Chris Harris) is always fast, so we knew it wouldn’t be easy. Sam Masters also took the chequered flag on three occasions, including a stunning victory over Chris Harris in a breathtaking heat 13. Kyle Howarth suffered just one defeat and was in the thick of the action throughout, picking off Ricky Wells in heat 10 to join Freddie Lindgren at the front for a big 5-1. 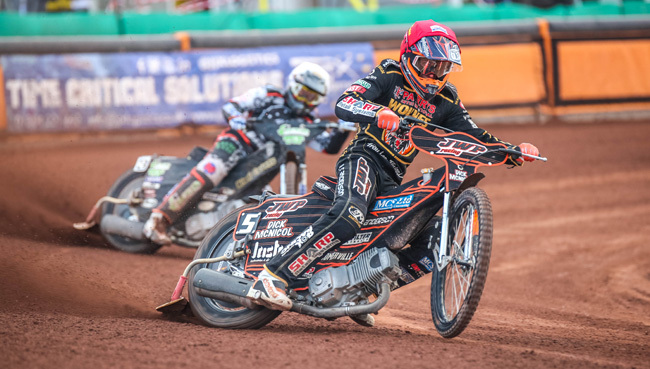 Lindgren and Howarth had joined forces in heat one to get Wolves off to a dream start, and No.1 Lindgren was good value for his paid seven after finding himself involved in some tight action. Nathan Greaves added a solid three points at reserve, and although Ellis Perks struggled as he guested in the No.6 spot the Monmore men came out on top. They will be back in action when they head to Rye House on Saturday (7pm) before hosting Poole next Monday (7.30). WOLVERHAMPTON 50: Jacob Thorssell 12+1, Sam Masters 11, Kyle Howarth 10+1, Rory Schlein 8+2, Freddie Lindgren 6+1, Nathan Greaves 3, Ellis Perks 0. 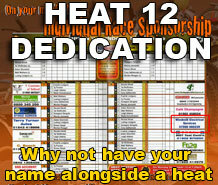 RYE HOUSE 41: Stuart Robson 11, Chris Harris 9, Scott Nicholls 7+1, Ricky Wells 5, Ben Barker 4, Danny Ayres 3+2, Justin Sedgmen 2+1.